Happy Monday! Today I'm going to show you a fun manicure idea that's really easy. Wednesday is my birthday so I wanted to do something that was fun, colorful, and reminded me of birthday confetti or sprinkles. Not office appropriate? 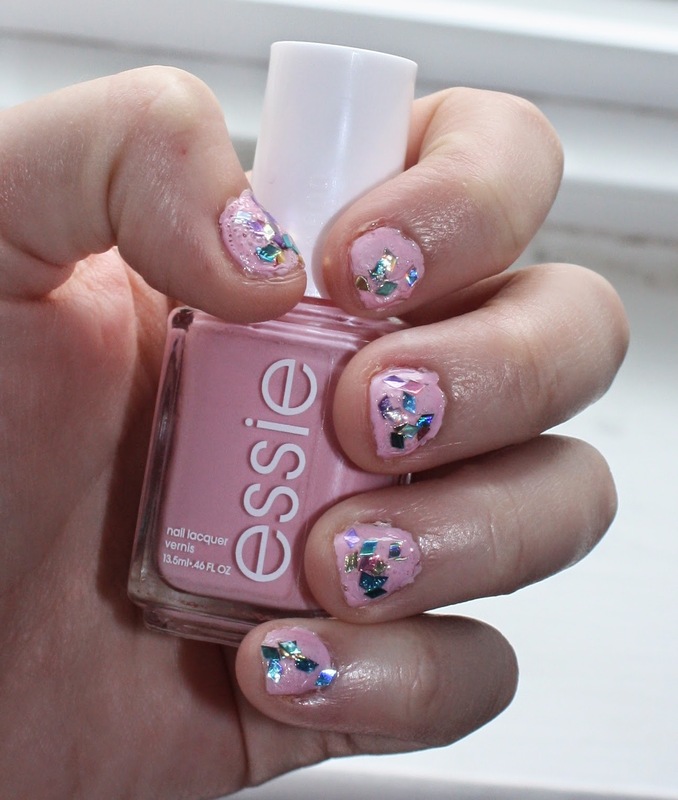 Apply Essie for the week and on weekend just add two coats of So Awesome! REMINDER: EOS Lip balm giveaway is still going on and I only have 3 entries! Like my page and Twitter then enter through Rafflecopter below.